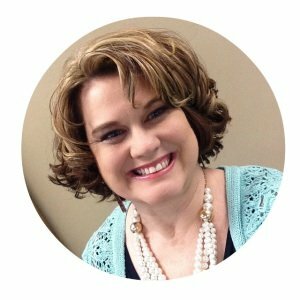 I “met” today’s guest at the She Speaks conference in 2014 when she taught a workshop about blogging. I could tell this woman was smart and savvy. 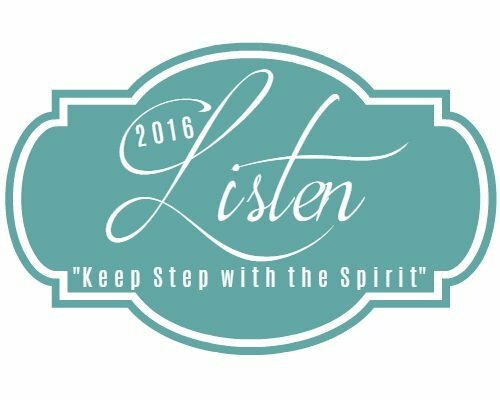 I was delighted when Teri Lynne graciously agreed to write a post for the “Listen Close, Listen Well” series. Let’s give her a warm welcome as we lean in and listen. Teri Lynne is a Word lover and idea slinger. A worship leader’s wife and cheerleader’s mom she writes in between loads of laundry and figuring out how it’s already time to fix supper again. She delights in offering busy women permission to live well and recently founded a lovely community for girl moms, Prayers for Girls. Her favorite social media spots are Instagram and Facebook. The weather is supposed to be bad this afternoon — thunder storms and possibly even tornadoes. As I type the sky is graying and my head feels the pounding of the changing air pressure. The weather is a great picture of my heart and mind lately. Swirling and pounding with all the thoughts and emotions and fears and worries, even when I lie down my brain keeps moving in circles like the leaves rustling on my driveway in the wind. Sometimes my world is just loud. This is one of those seasons. It feels like every situation and need around me is shouting for my attention, for my help, for another piece of my time and my heart. It’s not just the “bad” stuff — there are so many great things happening around me — but all of it together creates this cacophony of noise. Not enough time, not enough energy, not enough wisdom, not enough … anything. What do I say to the wife who has given up on her marriage? How do I speak truth into my daughter’s hurting heart about situations with her peers? What do I say to my friend whose child is so very sick and there are no answers about why? When will there be time to do the laundry? What happens now that we’ve called in hospice for my husband’s grandmother? What is the next step for Prayers for Girls? How do I prepare my heart for our revival services next week at church? On and on the questions rage in my mind and for every question there are at least twenty emotions in my heart. So the loudness in my world is real. People around me are facing difficult seasons. The opportunities in front of me require planning and commitment. My daughter needs guidance (and help with Geometry)! Our church is experiencing some amazing growth and that means I have more ways to minister and connect. And here’s the thing, the loudness in your life is real too. It’s hard to listen when it’s loud. But we must. Over the past couple of months as the chaos has continued to increase around me, I’ve asked God to help me listen closely for His voice in the midst of the storms. Here are a few practical ways I’ve been quieting my mind and opening my heart to listen and abide in Him. Start with the Word. Every day, but especially during the crazy seasons, I make time in the Word my first priority. Even if it’s a quick read from Proverbs 31 Ministry’s First 5 app or simply reading a chapter of Proverbs, starting my day in Scripture provides a solid foundation for whatever comes up. Set an alarm. This one may sound crazy, but I set alarms throughout the day to remind me to stop and be still. Sometimes the alarm goes off and I can’t literally stop what I’m doing but it is a reminder to still my heart and mind to focus on the Lord. Seek accountability. I have a dear friend who knows all the situations in our life right now — the good and bad — and I asked her to check in with me to make sure I’m making time for listening to the Lord and abiding in His presence. The truth is, we live in a very loud world. And there will always be one more thing we need to do and one more person who needs our attention and one more situation that needs us to take action. But we can’t give what we don’t have. 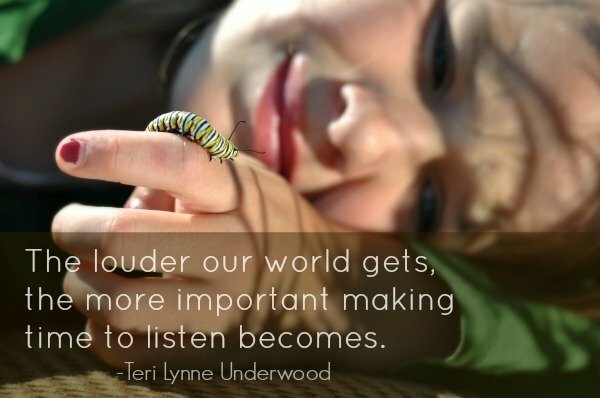 The louder our world gets, the more important making time to listen becomes. This afternoon, when the storm passes through our little town, my plan is simple … to curl up with some hot tea and my Bible and listen to the Lord who speaks peace into the chaos. And while you may not have an actual storm headed your way today, perhaps you need a little nudge to make time and space to listen to the Lord. Consider yourself nudged. Sweet Katie, thank you for letting me be a part of this series and for your ever-encouraging heart! What a gift you are! Thank you for sharing your sweet words with us!